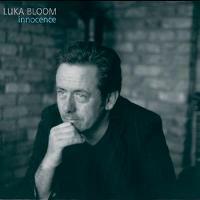 Autumnal shades pervade Luka Bloom's 10th album, Innocence. All the road miles, pedal rotations and late night concerts have wrought a burnished tint to the man who's given us classics as diverse as the languid 'Sunny Sailor Boy', the lonesome and harrowing 'The City Of Chicago' and the unapologetic defiant 'You'. And now, 10 albums on, Luka Bloom's musical journey has brought him to a place where songs seep from every pore, and melodies celebrate the ordinariness of life. Some musicians grow wizened by the road; Luka Bloom has thrived on it. He and his acoustic motorbike are one, their molecules intertwined, an echo of Flann O'Brien's 'At Swim Two Birds'. Luka's travels have stretched his tendons, his muscles and his imagination in ways none of us could have anticipated, and Innocence captures that journey - not so much with surgical precision, as with a magical ear for life's hidden details. The album's opener, 'Primavera' is a delicious taster of Bloom's vocal elasticity, as well as his emotional maturity. "Me, see me now, I am August oak leaf / You, yes you are, you are Primavera". A delicate glimpse of the contradictions and conundrums of the ageing process that few artists ever deign to admit. 'Gypsy Music' reeks of a hankering for a glimpse at the new world of Eastern Europe. 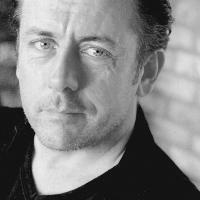 Scaffolded by Ken Edge's clarinet and Eithne Ni Cathain's haunting backing vocals, Luka Bloom conjures a world where more is unknown than known: a rarity for all of us who live in a time where knowledge is power and information is everything. Innocence's title track will strike a cord with anyone who harbours distance memories of church incense and a childlike fascination in the mysterious ritual of benediction. But it's much more than that; 'Innocence' is a glorious valediction to a time when inexperience was something to be relished rather than something to bring an embarrassed flush to the cheek. Luka Bloom still manages to keep the best of company too. Kenneth Edge's soprano saxophone and clarinet conjure a mood reminiscent of Van Morrison's 'Astral Weeks'. Ray Fean lends the subtlest of percussion; Joe Csibi adds double bass and Pat Collins' fiddle roams free and wide. Mohamed Bouhanna's derbouka adds the final essential ingredient that defines Bloom's delight in Ireland's growing multiculturalism. And enmeshed in all the songs, as well as in the two instrumental interludes of Innocence, 'Peace On Earth' and 'Larry Redican's Bow' is the spirit of a musician who's long let go of the cocky defiance of youth, who bears the scars and celebrations of daily life with a comfort born of the same regrets, delights and minor triumphs that we all share. 'No Matter Where You Go, There You Are' sums it up sweetly, on the back of Bloom's trademark uncompromising guitar lines: "No matter where you go, there are you / So don't let go of what you know to be true", Luka Bloom's come home and Innocence charts his return with a delicate ear for the detail. Song for Spring inspired by Mariza. Winter will soon be over. Days are still short, it's still a bit cold, but soon we'll see the 'First light of Spring' and that is sweeter than anything. A 49-year-old man calls an album 'Innocence', because he knows you have to hold your innocence. Venus is passing across the sun for the first time in 150 years, and the radio tells us not to look at it. 'Venus' is the story. It's hard to move on, and forgive, whether for society or for one person. 'Miracle Cure' is the story. Beslan, Tsunami, 2004 was a sad year for children. Sometimes words cannot say it. 'Peace on Earth'. 50 million more people in Europe don't need a visa to come to Ireland - 'Gypsy Music' is the answer. A song for any Irishman or woman who ever emigrated. A love song left on an answering machine. A song for anyone who ever immigrated into Ireland. A daughter tells a father on Fanore beach. "The whole story of this album is interesting and different. ingredient to hang on to is our innocence and wonder at the world."